The U.S. Chamber of Commerce Foundation has named Hormel Foods Corporation (NYSE: HRL) a finalist in the 2015 Corporate Citizenship Awards in the category of Community Improvement Program for its Project SPAMMY®. Hormel Foods specifically designed and developed SPAMMY®, a shelf-stable poultry product fortified with vitamins and minerals, to help malnourished children in Guatemala. Hormel Foods works with Food For The Poor and Caritas Arquidiocesana to distribute the product to family centers and orphanages. 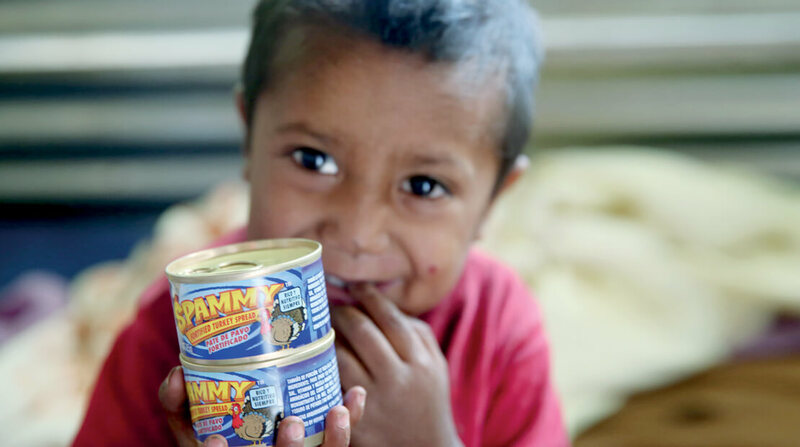 Since the inception of Project SPAMMY®, Hormel Foods has contributed more than 8.5 million cans of the product, and many employees have traveled to Guatemala to help with the project. The 2015 Citizens Awards encompass eight categories that honor corporate citizenship best practices. The Best Community Improvement Program category is for companies that go above and beyond to create successful initiatives at the local level. These companies have proven that the business sector has the ability and the desire to create impact. The winner for this category will be selected by a committee of corporate peers and experts in the field. The winners of the 2015 Citizens Awards will be announced Oct. 6 at a ceremony in Washington, D.C. To learn more about the awards program, visit http://www.uschamberfoundation.org/citizens-awards/2015-finalists. Additional information about the company’s fiscal 2014 philanthropic efforts can be found in the Hormel Foods 2014 Corporate Responsibility Report at http://2014csr.hormelfoods.com/.